Made with a three piece design that is unique and sturdy. Each steel strap is precisely bent to ensure comfort. The two ends are fabricated from heavy gauge tube steel. 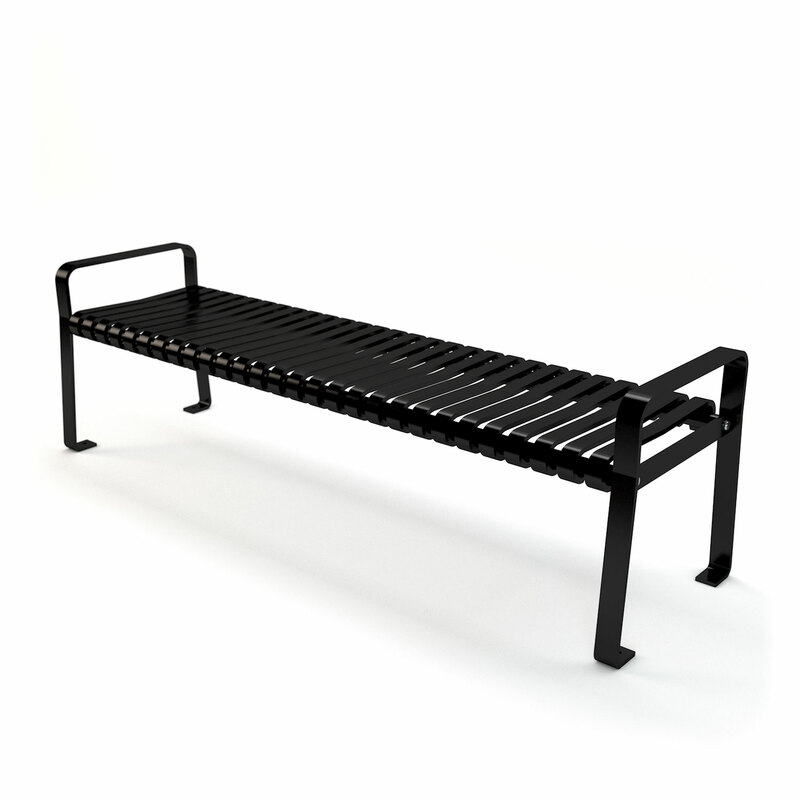 The simple design makes this bench appropriate for any location. Custom colors available for quantity orders. Bench comes with surface wedge anchors for mounting. 6 ft. / 2 bases / 185 lbs.